Lufwanyama District Education Standards Officer in charge of General Inspections and Examinations Kendricks Safeli has been murdered in what authorities say suspicious circumstances. Copperbelt Police Commissioner Charity Katanga has confirmed the death and said Mr Safeli, 44 was found hanged to a small tree after allegedly being murdered by unknown people. 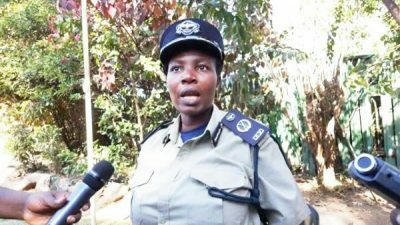 Ms Katanga said it is suspected that the murder occurred between 21 hours on Wednesday and 05 hours on Thursday. serious burns after a fire broke out in the Laboratory as he was preparing chemicals for final science examination practicals. chemicals for learners in readiness for science practices around 09 hours. Mr Chisanga is currently admitted at Chambeshi Hospital.